Melancholy is rightly taken to be a central topic of concern in early modern culture, and it continues to generate scholarly interest among historians of medicine, literature, psychiatry and religion. This book considerably furthers our understanding of the issue by examining the extensive discussions of melancholy in seventeenth- and eighteenth- century religious and moral philosophical publications, many of which have received only scant attention from modern scholars. Arguing that melancholy was considered by many to be as much a 'disease of the soul' as a condition originating in bodily disorder, Dr. Schmidt reveals how insights and techniques developed in the context of ancient philosophical and early Christian discussions of the good of the soul were applied by a variety of early modern authorities to the treatment of melancholy. The book also explores ways in which various diagnostic and therapeutic languages shaped the experience and expression of melancholy and situates the melancholic experience in a series of broader discourses, including the language of religious despair dominating English Calvinism, the late Renaissance concern with the government of the passions, and eighteenth-century debates surrounding politeness and material consumption. In addition, it explores how the shifting languages of early modern melancholy altered and enabled certain perceptions of gender. 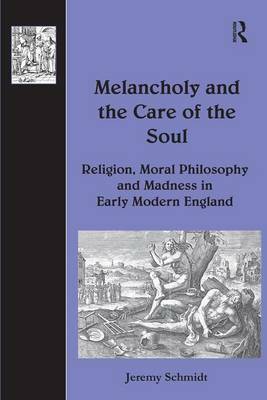 As a study in intellectual history, Melancholy and the Care of the Soul offers new insights into a wide variety of early modern texts, including literary representations and medical works, and critically engages with a broad range of current scholarship in addressing some of the central interpretive issues in the history of early modern medicine, psychiatry, religion and culture.